The scavenger is a defined role in an ecosystem. In an ecosystem such as a rain forest, the scavenger is an animal that eats dead plant and animal matter on the forest floor. Scavengers are important because they eat dead plants and animals, clearing space for new plants to grow and more animals to propagate. Scavengers are distinctly different from predators, which hunt and kill their prey. The scavengers' prey is already dead. The King Vulture may be found in the rain forests of South America, such as the Amazon. As a scavenger, the King Vulture feeds on dead animals, also known as carrion. It may live between 20 and 25 years in the wild and even longer in captivity. Scientists are unsure of how it finds its food, whether it be by sight, smell, or simply following other birds to the carrion. The King Vulture may be characterized by the bright orange skin on top of its orange beak. Army ants are not strictly scavengers. They simply swarm and devour everything in their path, including everything living and dead. While larger animals don't have a problem outrunning the swarm, army ants can overwhelm other insects and carrion many times the size of an individual ant. There are close to one quadrillion ants in the world with almost 12,000 species. 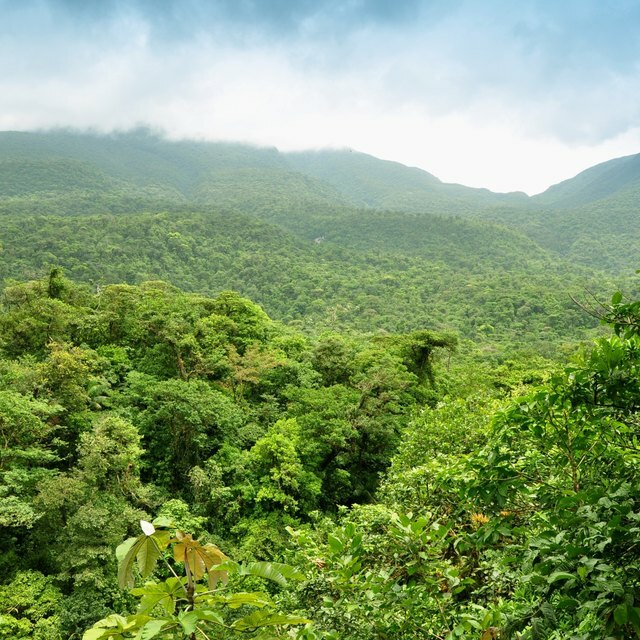 In a rain forest, ants may comprise 15 percent of the total animal biomass. The Giant Millipede may reach up to 9 inches in length. It is an invertebrate, meaning it has no backbone. The millipede feeds on decaying plant matter. Baby millipedes are coprophagous, meaning they eat the dung of their parents. The food is easier for the babies to digest in that form. This process is similar to how penguins regurgitate food for their young. 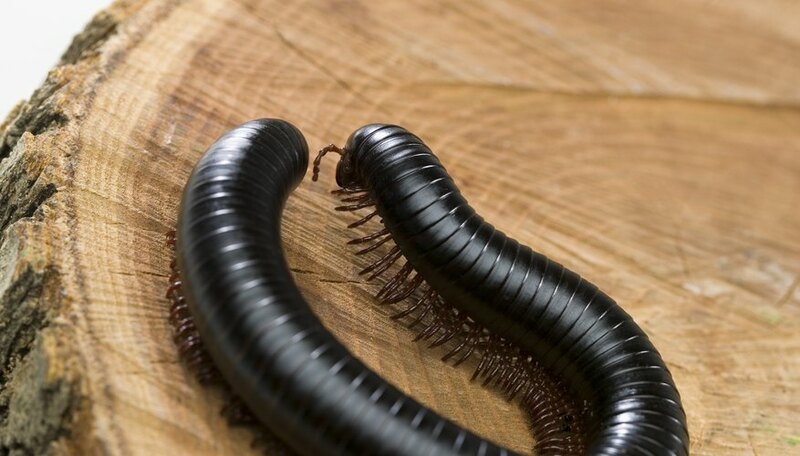 Giant Millipedes in the rain forests of Africa possess a special defense mechanism. If the millipede is bitten or pinched by a predator, a toxin is released through the skin that deters the predator. John McMahon has been writing professionally since 2010. He enjoys writing creative and informational pieces, many of which have appeared on PlatformNation. His favorite writing topic is anything involving video games. He holds a Bachelor of Science in management and finance from Purdue University. McMahon, John. "What Animals in the Rain Forest Are Scavengers?" Sciencing, https://sciencing.com/animals-rain-forest-scavengers-6799875.html. 10 March 2018.